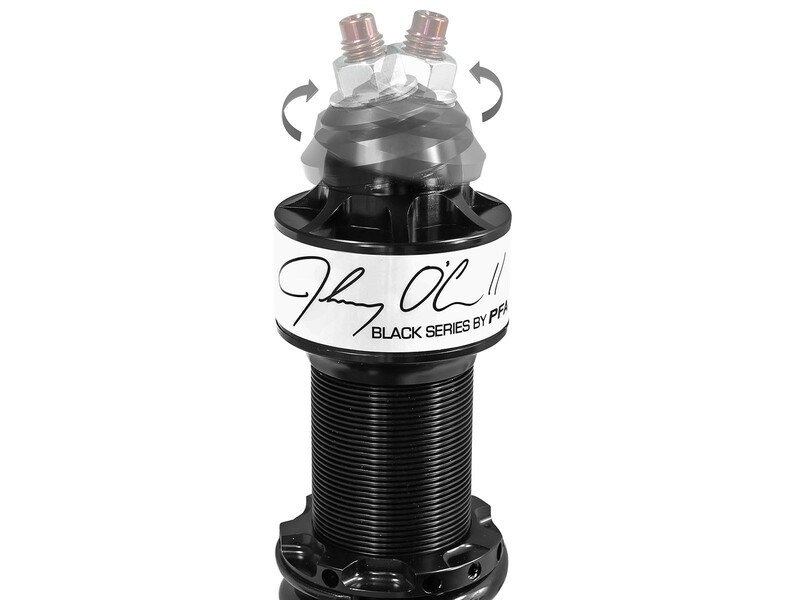 aFe Control is proud to release the Johnny O'Connell Black Series coilover system for the 1997-2013 C5/C6 Corvette. Tuned by legendary Corvette racer, Johnny O'Connell. 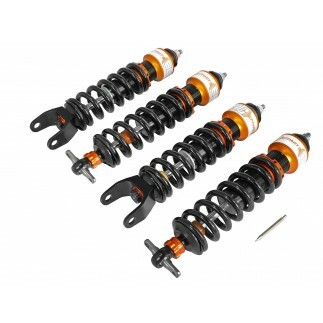 The Black Series single adjustable coilovers are tuned more aggressively than our Featherlight generation coilover, making it an excellent choice for Corvettes that are driven on the track or are looking for that extra edge. 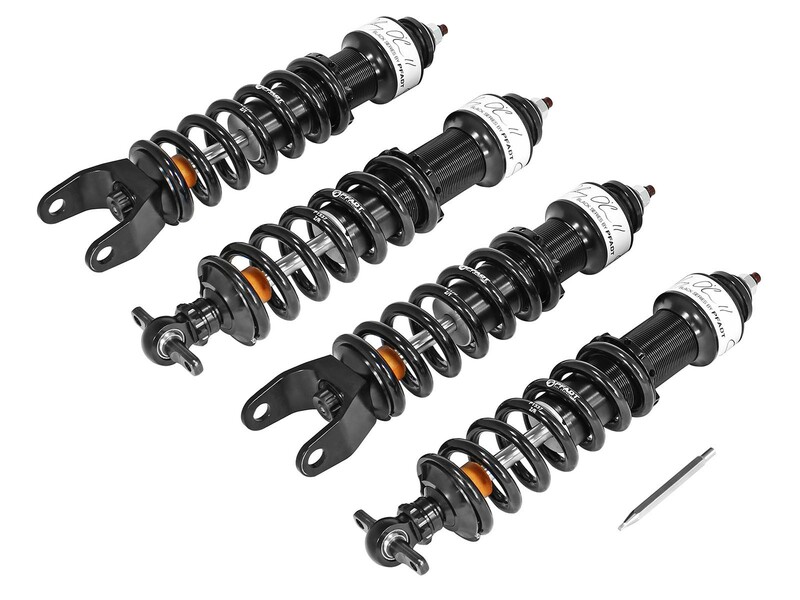 Designed as a complete solution, the Black Series coilovers will allow you to remove the transverse leaf springs and OE shocks on your Corvette, yielding a true independent suspension which eliminates the "crosstalk" and harsh ride that the OEM suspension is known for. 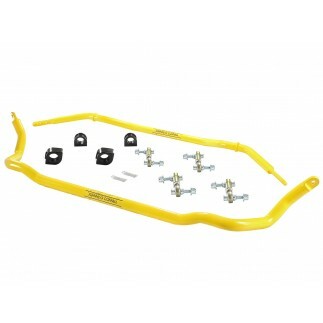 Both ride height and damping are easily adjustable in this design allowing for fine tuning your Corvette's stance and ride quality. 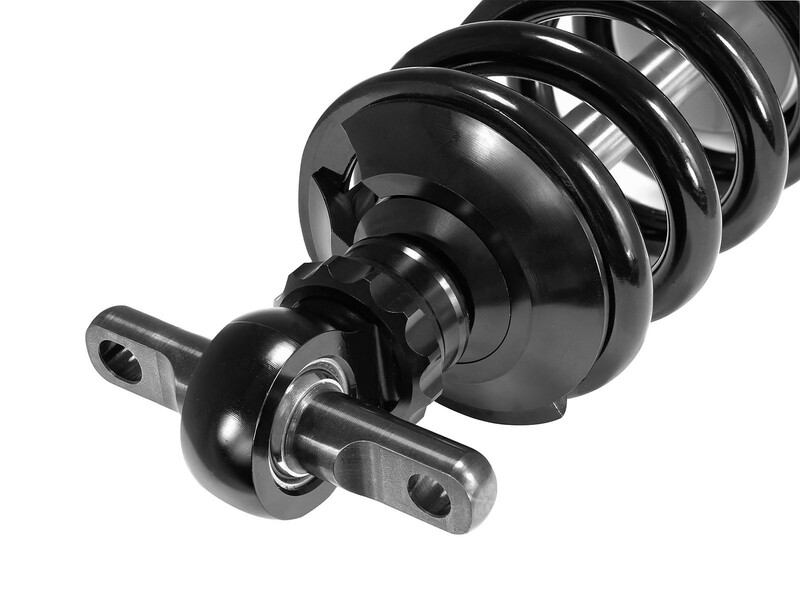 Packed with features, the coilovers are precision CNC machined from 6061-T6 Aluminum hard anodized. The mono-tube construction utilizes a floating piston to separate the oil and nitrogen gas, allowing for predictable handling and a consistent feel. 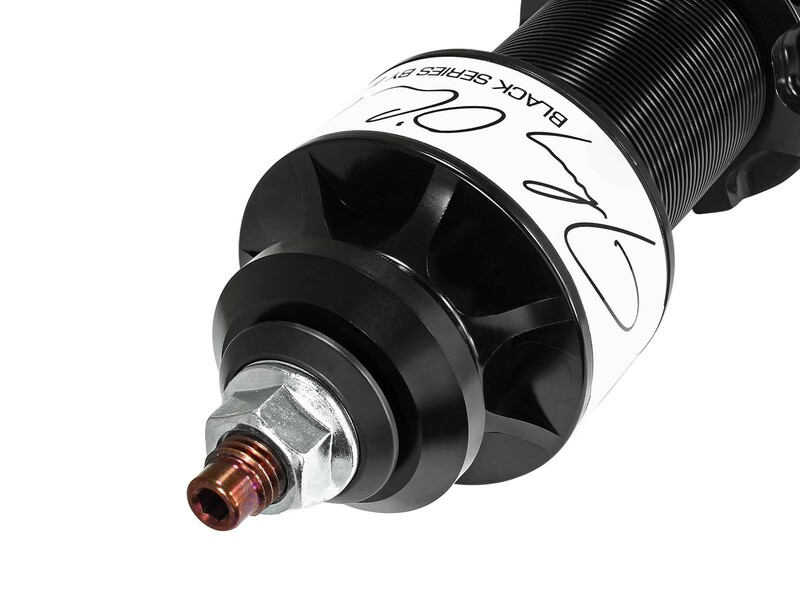 The CIRC (Concentric Integrated Remote Canister) System more than triples the gas volume over a standard coilover resulting in consistent operation over a wide temperature range and throughout the stroke. 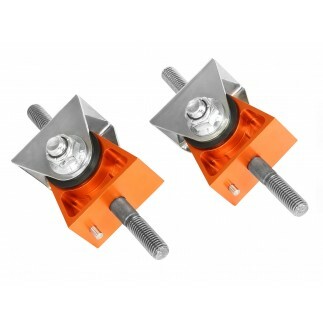 Integrated into the CIRC head is the BOA (Ball on Axis) upper mount, which is a completely sealed design allowing full articulation of the Corvettes suspension. 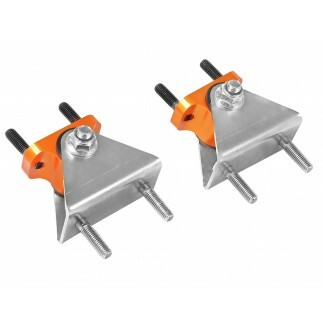 It offers a durable, quiet mounting solution without travel loss as is common in other clevis style mounting systems. 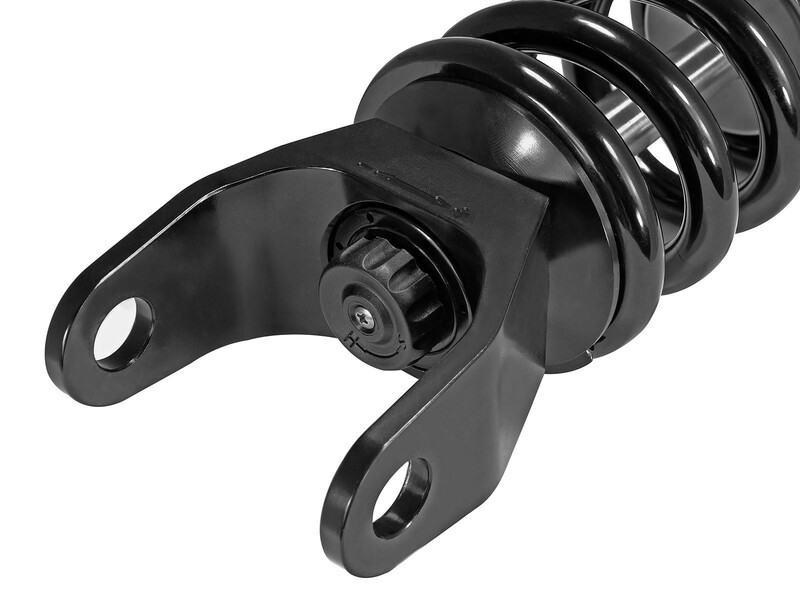 The inverted design places the majority of the mass on the sprung side of the chassis allowing the control arms and outboard components to react quicker and easier without the additional weight of the coilover itself. 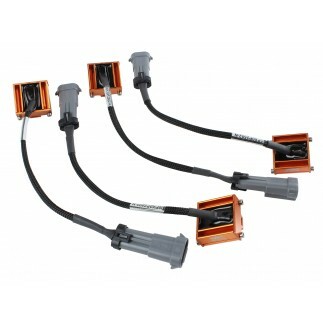 The result is a suspension system that responds faster to changes in the road whether its highway, local roads, or track surfaces. 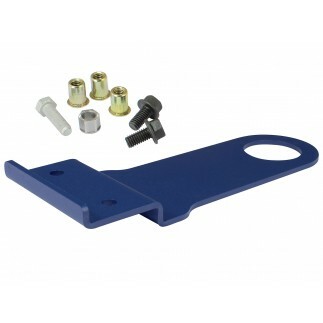 This design also allows the placement of the damping adjuster on the bottom of the shock allowing for quick, easy adjustment. 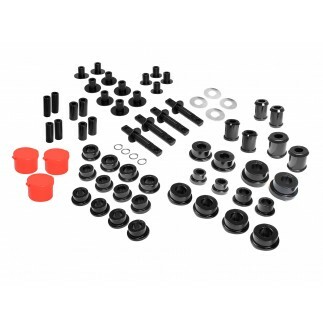 Since the coilovers employ double digressive valve technology, the easy touch rotary knob will adjust both compression and rebound in one device. You will feel 24 distinct settings on the front and rear shocks, allowing for settings to accommodate any track condition. Elevate your driving experience with the comfort, precision and excitement of the aFe Control Johnny O'Connell Black Series Coilover System.